We have great coaches that create great athletletes. All of my life I’ve wanted to see what limits I am capable of pushing past, what obstacles I can overcome. Climb the unclimbable tree, ride the untamed horse, scale the wall, swim out to that ship. Faster. Farther. Harder. After growing up riding horses and doing Junior Lifeguards I began my journey with Triathlon racing as I saw that as the most diverse and difficult thing I could find at the time. I spent 10 years racing competitively, training and coaching others. I’ve also spent time rock climbing, Stand Up paddling, Surfing and doing Bikram Yoga. When I discovered CrossFit I immediately knew it was the golden ticket for obtaining the highest level of fitness, always changing, always challenging and as diverse and difficult as it gets. My goal is to guide you so that you may discover that you are able to do unbelievable things, superhero like things. Don’t be afraid to realize your highest potential and to find that personal power in order to live life fearlessly. Our bodies are amazing machines, all we need to do is dedicate ourselves to unleashing their power. Bucky grew up in Santa Cruz participating in competitive surfing, skateboarding and Rugby. 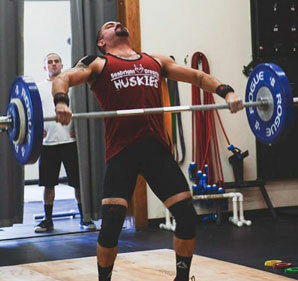 Before finding CrossFit he also trained in Powerlifting with a focus on nutrition designed for strength building. His enthusiasm and love for athletic prowess are tangible and infectious. Anyone who has had the pleasure to be coached by him can testify. Bucky has fallen in love with CrossFit training and Olympic Lifting as it has shown a way for him to continually grow and evolve as an athlete and a human being. Finding himself unsatisfied by the typical training found in your average gym, CrossFit offered him an avenue to train skills transferrable to his sports of interest while still focusing on strength building. Bucky has an innate way of helping others, coaching was a natural fit. 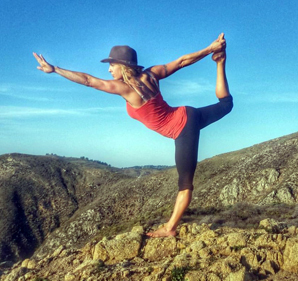 Danielle was trained by masters in Bali to become a certified Yoga instructor and brings her wisdom of Eastern philosophy into her CrossFit coaching. Her zen discipline and her talent as an athlete come through in her coaching, giving her students inspiration and guidance. Danielle was an avid wake surfer growing up, with a love for the outdoors and adventures like Spartan racing, hiking, camping and international travel. Morganna grew up on Oahu, in the state of Hawaii, surfing and lifeguarding. 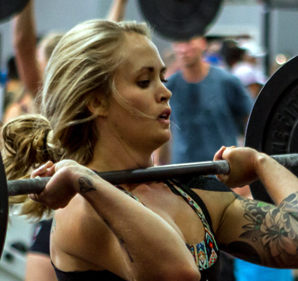 She is a Paramedic and Firefighter in addition to her CrossFit coaching. Morganna loves to teach Olympic lifting and to show others how to utilize the strength gained in the gym out in their everyday lives. She takes the functionality of fitness very seriously and uses it in Emergency services regularly by helping others and keeping herself safe from injury with strength and good form. Alejandro, born and raised in Watsonville CA began his fitness journey in 2012, after a life altering event. He found comfort in his running, by accomplishing many races and crushing every goal set for himself. 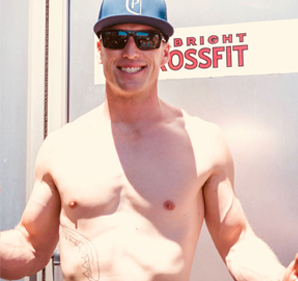 He expanded his love for a healthy lifestyle by joining us at Seabright CrossFit in 2015. After almost 3 years and challenging himself every step of the way, he became and CrossFit Level 1 trainer. Alejandro’s other passion is his writing represented through poetry and spoken word. His “easy to relate” and welcoming personality encourages members to believe in themselves and achieve their fitness journey. Alejandro’s mantra is, if you can envision it, you can and WILL achieve it. Mountain man Justin Bannowsky grew up playing every sport he could. A jack of all trades, he fell in love with CrossFit as it allowed him to train simultaneously for Surfing, and skating, rugby, wrestling, hunting, fishing and dirt biking. His infectious enthusiasm for all things athletic and adventurous come through in his coaching and his positive attitude uplifts all people he encounters. He will inspire you to change your life and seize the day and to live in the moment. I am a 54 year old mother of 3 and grandmother of 1. I was introduced to CrossFit in 2009and have enjoyed it ever since. I started CrossFit to simply become healthier and have since evolved from a recreational athlete to a 4x CrossFit Games athlete. I have competed in the 2013-2014-2015-2016 games. I began coaching in 2014 to spread my passion for this sport. I want to encourage women to become fearless and reach fitness goals they never thought they could. Reserve your spot online through the MINDBODY app!